2013 has been a fantastic year for Mahjong Time, with many new and exciting addition to the game! Two new rules were introduced: Ari Ari, and San ma. Both rules are variations on Riichi. San ma is a 3-player variation that is available only on Mahjong Time EON. 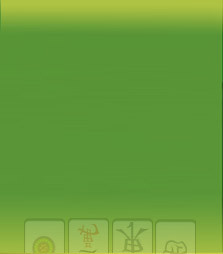 Many improvements happened in the Mahjong Time software. EON for desktop and the in-browser flash version of EON were both greatly improved. Perhaps the biggest release this year was EON Mobile. A real milestone in online Mahjong, EON Mobile allows users to play with others from their Android and iOS phones and tablets. With this update players are now able to play Mahjong Time from the widest range of devices. There are also lots of other exciting things on the way for Mahjong Time in 2014. We’re kicking off the year with an EON Mobile update that will allow tournament play from mobile devices! Will also add tile styles available in the full version of EON. The biggest focus of 2014 will be tournament play. We have all-new exciting prizes lined up for GMT and Dragon events for Mahjong Time members(VIP and Premium) who use EON (in-browser, desktop, or mobile). There may also be a completely new and interesting tournament style of its way! Mahjong Time is eagerly looking forward toward the new year; it’s sure to be the most fun and exciting yet! May you and your loved ones enjoy good health and luck, and best wishes for the New Year!